Archaeological Site of Akrotiri, Akrotiri,T. +30 2286081939. Open daily, 8.00-20.00 (entrance fee 12€). Archaeological Museum of Thera, Fira, T. +30 2286022217. Open daily, except Monday, 8.00-15.00 (entrance fee 2€). Archaeological Site of Ancient Thera, Kamari. Open daily, except Monday, 8.00-15.00 (entrance fee 4€). 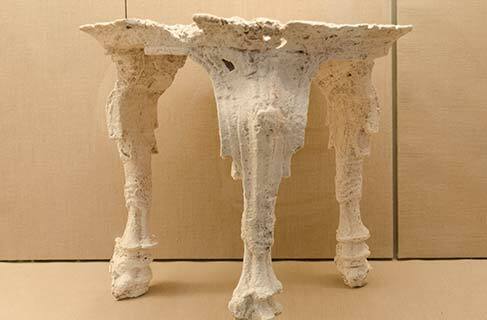 Museum of Prehistoric Thera, Fira, T. +30 2286023217. 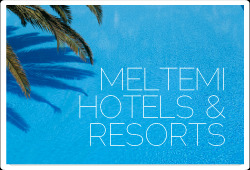 Open daily, except Τuesday, 8.00-15.00 (entrance fee 6€). Tip: From this year a special ticket package at 14 € allows you entrance to the Archaeological Museum, the Museum of Prehistoric Thera, the Byzantine Museum in Pyrgos and the archaeological sites of Ancient Thera and Akrotiri. Art Space, Exo Gonia, T. +30 2286032774. Open daily from 11.00-19.00 (April to October). Argyros Mansion, Messaria, T. +30 2286031669. Open daily, except Monday and Thursday, from April to October, 10.00-14.00 and 17.00-19.00. Folklore Museum of Manolis Lignos, Kontohori, Fira, T. +30 2286022792. Daily 10.00-14.00 (May to September) and 18.00-20.00 (July-August). 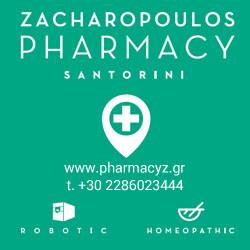 La Ponta, Akrotiri, T.+30 2286085374. Open daily 10.00-14.00 & 17.00-20.00. Historical presentations and musical performances 12.00-12.45 and 18.00-18.45. Gyzis Mansion, Fira, T. +30 2286023077. Open daily from May to October, 10.00-22.00, Sunday 10.00-16.00. National holidays closed. Wine Museum, Vothonas, T.+30 2286031322. Open daily 9.00-18.30. Last enter 18.00. Museum of minerals and fossils, Perissa. Open daily except Tuesday 11.00-14.00 and 18.30-21.00. Bellonias Cultural Foundation, Fira, T. +30 2286024960/2. Open all year according to scheduled events. Library operating hours: Monday to Friday 9.00-15.00, Tuesday 11.00-19.00. Maritime Museum, Oia, T. +30 2286071156. Open daily except Tuesday, 10.00-14.00 and 17.00-20.00. Traditional Village of Drosos-Chryssos, Pyrgos, T. +30 2286031101. Open daily, except Sunday, 10.00-16.00 & 18.00-20.00. Santorini Arts Factory (SAF), Vlyhada, T. +30 22860 85141, www.santoriniartsfactory.gr. Open daily 10.00-18.00. Santozeum, Fira, T. +30 2286021722. Exhibition of 3D replicas of the Akrotiri mosaics, Fira, Open daily 10.00-18.00. Collection οf Icons and Liturgical Οbjects, Pyrgos, Τ. +30 2286031812. Open daily, except Monday, 10.30-15.00. Visit the new Canava Santorini of Loukas Lignos. 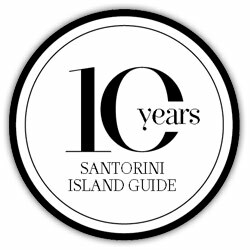 Wander around the ouzo and liquor distilleries, as well as the museum area representing scenes from the overall winemaking & distribution process in Santorini. 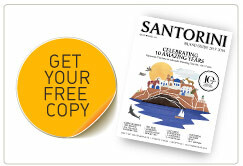 Canava Santorini is one of the largest distillery plants in the Aegean. 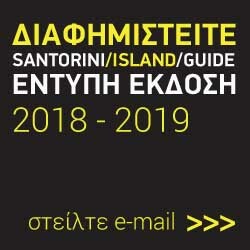 The major Santorini art gallery optimally designed to host the works of the internationally acknowledged artists of the island: the painter Christoforos Asimis, the sculptor Eleni Kolaitou and the painter Katonas Asimis. The architectural jewel of the island, designed specifically to accommodate unique works of art and various indoor and outdoor cultural events, just one kilometer from the center of Fira, on the road to Pyrgos.